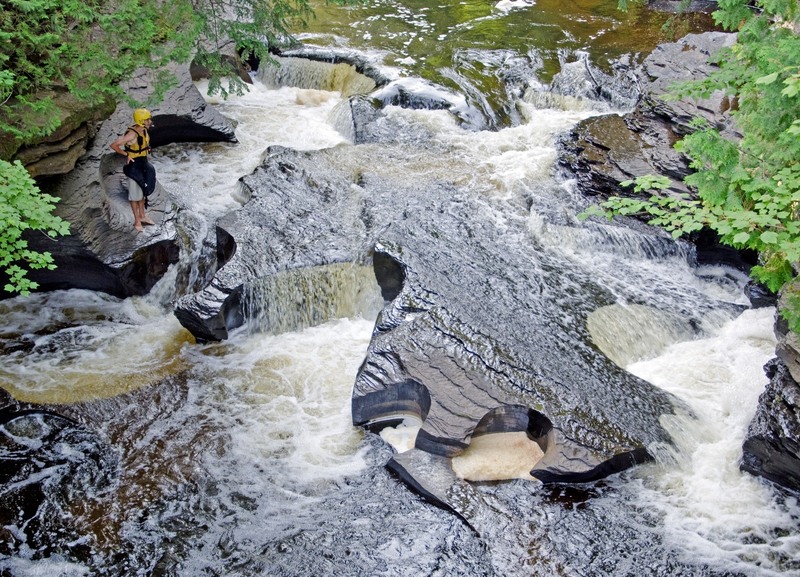 Waterfalls, three of them, are what drew us to a hike along the Presque Isle River in Michigan’s Porcupine Mountains. For awhile we thought we’d get the unexpected benefit of seeing some extreme kayaking. 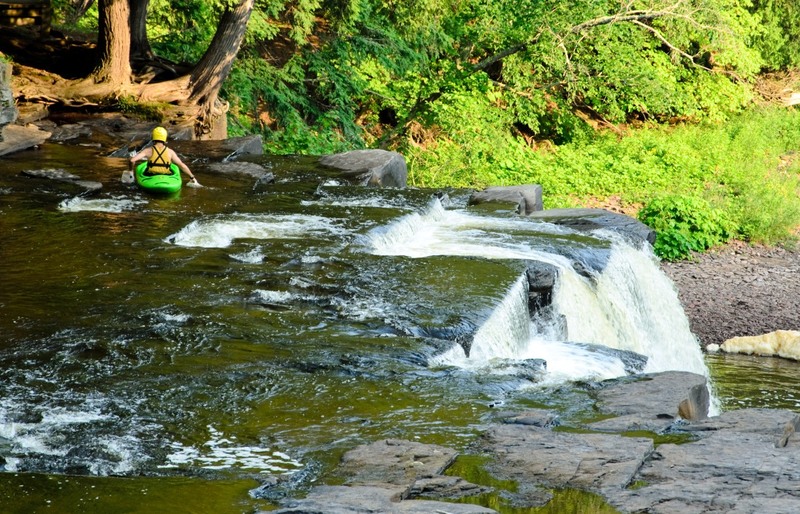 Mostly we watched this guy evaluate the falls and then carry his kayak around them. I guess he decided that risking bodily injury for our entertainment wasn’t a good idea. Wus. Absolutely! Something I didn’t comment on, but you can kind of see from one of the photos, are the near-perfect circular bore holes drilled into the rock by years of swirling eddies. Very, very neat!